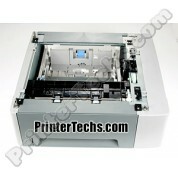 Q6511A PrinterTechs compatible for HP LaserJet 2420, 2430. Estimated page yield is 6,000 pages at 5% coverage. 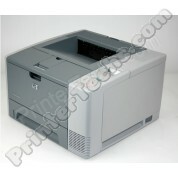 This is a refurbished 250-sheet paper tray for HP LaserJet 2420 , 2430 series printers. HP part# RM1-1486. Replaces Tray 2. This is a refurbished formatter board assembly, Q6507-61005 Network Formatter board assembly, HP LaserJet 2420N 2420DN 2420TN 2420DTN 2430N 2430N 2430TN 2430DTN series. The 2400 series maintenance kit includes a PrinterTechs compatible fuser, transfer roller, pickup rollers and separation pads for the cassette tray and for the manual feed tray, and a fuser drive gear. 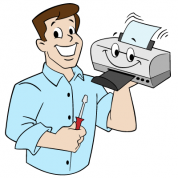 The 2400TN/DTN maintenance kit also includes an extra separation pad and pickup roller for printers with a two paper cassettes. Alternate part number H3980A, H3980-60001. You can save some money by purchasing the fuser on exchange. See exchange terms further below. 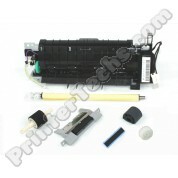 Q6511X MICR toner cartridge compatible for checking printing on LaserJet 2400 series. 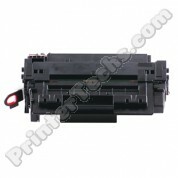 This is a premium remanufactured toner cartridge.